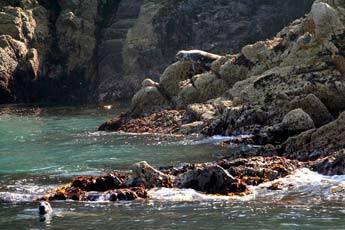 Lundy Island, off the North Devon coast, supports an amazing array of wildlife. 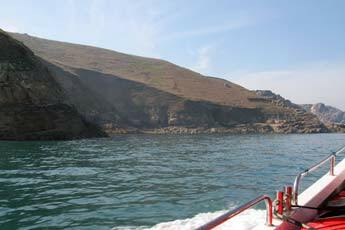 It is England's only statutory marine nature reserve. 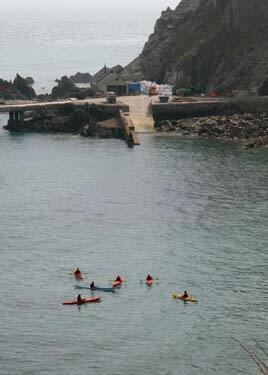 Sea Kayaking Southwest are offering Sea Kayaking Adventures around this wonderful island. 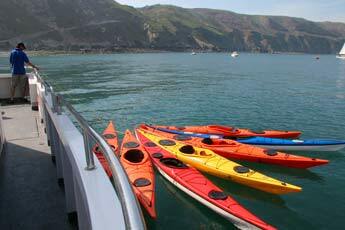 The waters are beautifully clear and while paddling you will find the seals are as interested in you, as you are of them! 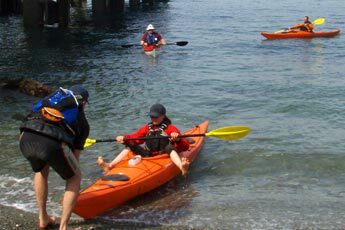 This is a real experience and don't worry, no previous kayaking experience is necessary. 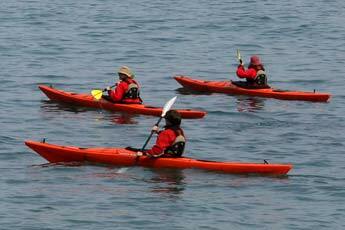 Come and join friendly the instructors on a wildlife safari by sea kayak. 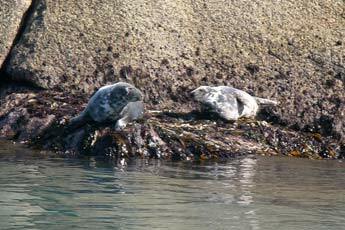 As you paddle along the coast of Lundy you will encounter all kinds of wildlife including the resident seals and even a basking shark. 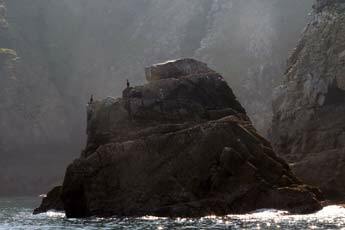 In the breeding season Lundy is home to the largest seabird colony in the South of England and includes species such as razorbill, guillemot and kittiwake. You may even be lucky enough to spot a puffin, the bird that gives the island it's name, 'lund-ey' is Norse for puffin island. 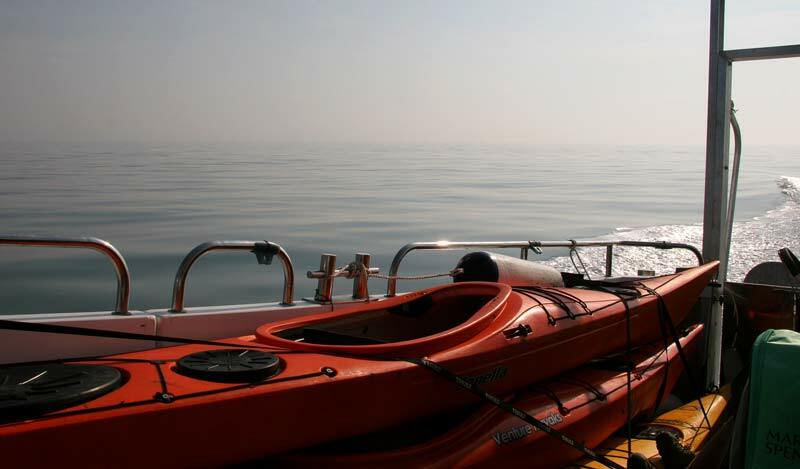 Your adventure starts as soon as you board the catamaran, 'Obsession II'. 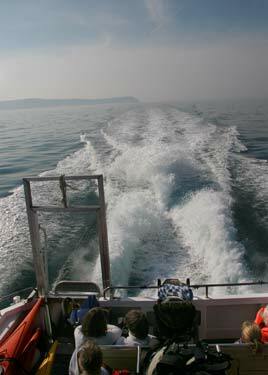 This is a fast motor boat and the trip from Ilfracombe to Lundy takes only an hour. 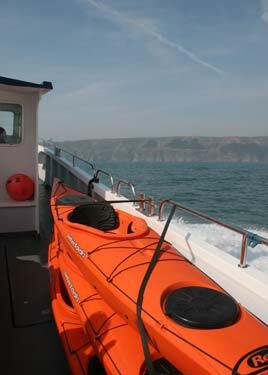 'Obsession II' can carry up to 12 passengers and 8 sea kayaks it has a fly bridge on top of the wheelhouse which is an ideal way to spot dolphins and other wildlife during the exhilarating crossing. 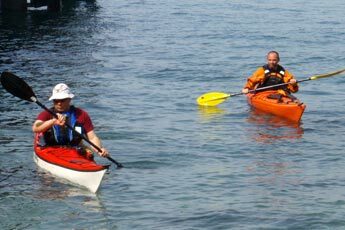 Return crossing aboard 'Obsession II'; fully guided sea kayak wildlife safari; all the equipment; time to explore the island before your return to the mainland; all food (weekend breaks only) and camping equipment are provided (excluding sleeping bags). you put a link from the photo back to this website, or provide a link somewhere else on the same page. High resolution photographs can also be purchased for printing purposes.